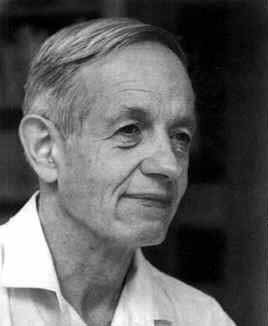 Last week we heard the news of the strangely untimely death of mathematician John Nash, whose life story was made famous in the book and film “A Beautiful Mind.” The Nash equilibrium is a concept sometimes touched upon in teaching negotiation theory, and it’s not difficult to understand why we should try to understand it, even if we might have trouble doing the math. What Nash and others taught us that is especially relevant to conflict resolution is that parties involved in conflict will often rationally both choose a sub-optimal outcome for themselves. Therefore they will benefit from learning how to be more cooperative with their adversary. That means Nash’s mathematical theory helps prove the usefulness of mediators or some other mechanism to encourage greater cooperation. But Nash’s own life story, and even his tragic death, prove something else also, which is that people are not governed solely by rational calculations, whether selfish or cooperative. Nash’s own mind was taken over by irrational impulses for many years, due to his struggles with mental illness, and he only regained its rational functions late in life. His death in a freakish taxi accident, also could not be predicted by any mathematical equation or other rational process. Those hoping that a rational formula can be devised to resolve conflict are going to be disappointed. We also have to take account of irrational impulses, feelings and emotions, and just plain bad luck.